The Carlton is an exclusive seventeen-story luxury condominium building located in East Boca Raton, FL. 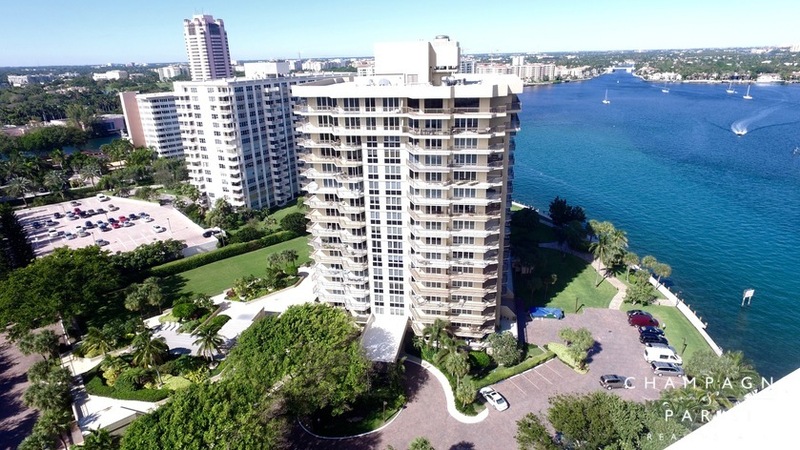 This elegant boutique-style building is situated at the water's edge on Lake Boca Raton, offering sweeping views of Lake Boca, the Intracoastal Waterway, and the Atlantic Ocean. Originally built in 1980, The Carlton has recently undergone major renovations to the entire building. Recent renovations include the installation of hurricane resistant impact glass throughout the building and extensive remodeling of the building lobby and elevators. The Carlton is located directly on Lake Boca Raton just off the prestigious East Camino Real. This premier location is within walking distance to the Atlantic Ocean and South Inlet Park, as well as the exclusive Boca Raton Resort & Club and The Boca Beach Club. Residents of The Carlton enjoy being conveniently located near some of the areas finest shopping, dining, and entertainment options in the area. If The Carlton sounds like the perfect waterfront condominium to call home, you may also want to visit some of the nearby luxury condominium communities, including Lake House South and Boca Inlet, both of which offer boutique condominium-living directly on Lake Boca Raton. If you would like to learn more about The Carlton or any of the surrounding waterfront luxury condominiums in Boca Raton, please contact us at 561-998-9015. You may also reach us by completing our simple online contact form provided below. We at Champagne & Parisi Real Estate look forward to assisting you in finding your next South Florida dream home!